Wild Heart Mustangs™ continues to grow! I know I say this every month, but it is true! I am so proud and thrilled at the overwhelmingly positive reception the e-zine continues to receive. 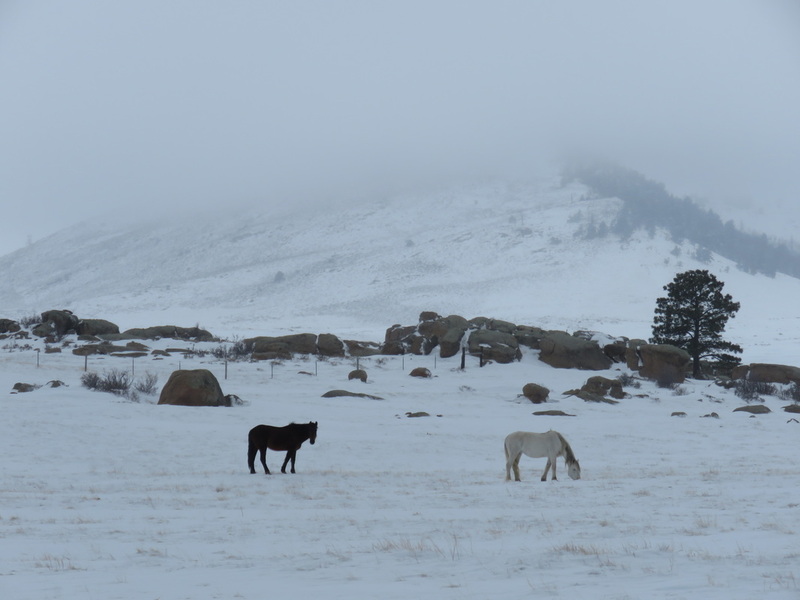 I am excited to be going to new places to promote Wild Heart Mustangs™ e-zine to spread the word about it, making new friends and loving every second about sharing each new experience with Buck and our readers. This month, in our September Issue, we have Ginger Duke, professional trick rider, writing in Trainer Tips about her two mustangs, Dollar and Who. Ginger is graceful, daring, and her energy contagious! New Freedom Farm (featured in June Issue) has been growing leaps and bounds in saving horses and helping veterans. Read this month’s Riding Freedom’s Trail to see what strides they have made in the past few months and what they have upcoming in the future. Wild Heart Mustangs™ is happy to have Olivia Knott, DIYHorseOwnership.com, share her amazing trail ride and camping adventure at Redwoods National Park. Hopefully, Olivia will be sharing more of her riding adventures of not only trail riding, but also eventing and dressage with Nilla, her mule, and Eugene, her husband’s mustang. At the end of this month, is the 2016 Donkey Welfare Symposium which I will be attending. I am ecstatic to be attending classes specifically for the health and welfare of donkeys. I feel there is an unfortunate gap in these areas, as many disciplines related to equine focus primarily on horses. 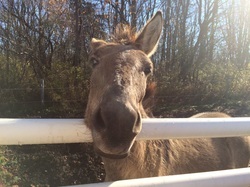 Donkeys (and mules) are not the same as horses, and should be treated as unique individuals. Hopefully, in future issues, we will have more articles, resources and stories about donkeys (and mules). Wild Heart Mustangs™ will also be attending the Extreme Mustang Makeover in Fort Worth, TX. I am hoping to have the opportunity to meet some of our contributory writers who will be there. This will be our first attendance at an Extreme Mustang Makeover; I’m sure it will not be our last. 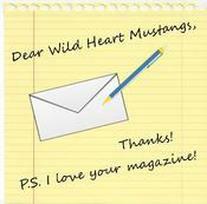 Thank you to each person who has shared Wild Heart Mustangs™ e-zine, either through an email, a link, or on their Facebook page. Your efforts are appreciated. Thank you to our readers who have been sharing pictures and stories of their beloved horses. I hope this continues to grow as a part of the e-zine. Dedications to veterans are always welcome, to show our appreciation for their sacrifice for our country. Have you been to the SHOP to see the Wild Heart Mustangs™ embroidered shirts, for adults and youth and the other Wild Heart Mustangs™ apparel? Proudly Made in the USA! Let’s not forget that Wild Heart Mustangs™ also has advertising opportunities available for your event, business, fundraiser, announcements, etc. Affordable options with more “bang for your buck” because we archive all past issues to give you more reader impressions than print advertising. I would like to thank each person who stopped by the Wild Heart Mustangs™ table at the Swanzey, NH BLM Wild Horse and Burro Adoption. It was a pleasure to meet fellow horse and burro enthusiasts, to share stories, swap ideas, get information, and to just meet someone new friends and smile. The burros stole the show in NH. They were some of the first animals to be adopted and loaded up to go to their new homes. By the end of the first day, only two burros were remaining. By the morning of the second day, they were adopted and gone, as well. I can’t tell you how many people stopped to ask if there were any burros. People had come, or brought their children, specifically to see them. One little girl started to cry when her parents had to explain there were no more burros to see; they had all been adopted. 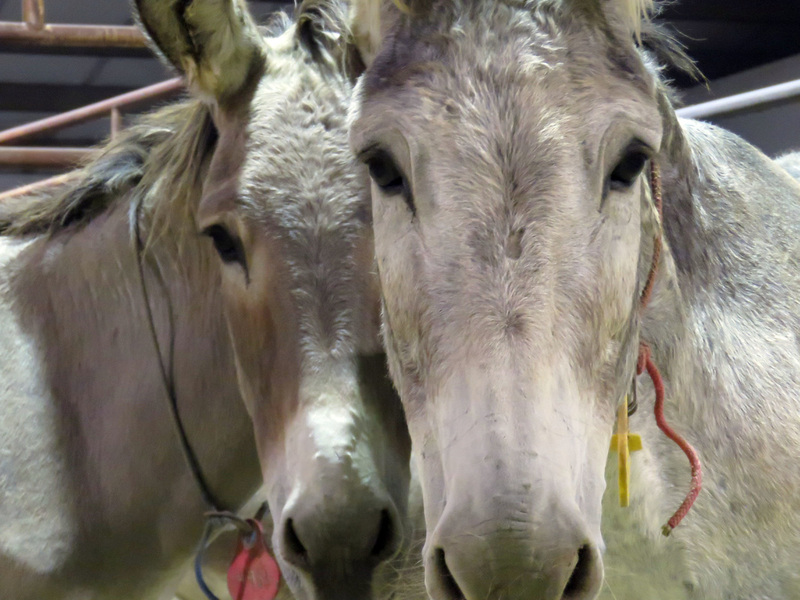 Thirty-eight wild horses and burros were brought to Swanzey, NH by the BLM for adoption. Of the 38, five were internet adoption pick ups. Approximately 5 mustangs were not adopted. The event was a huge success. 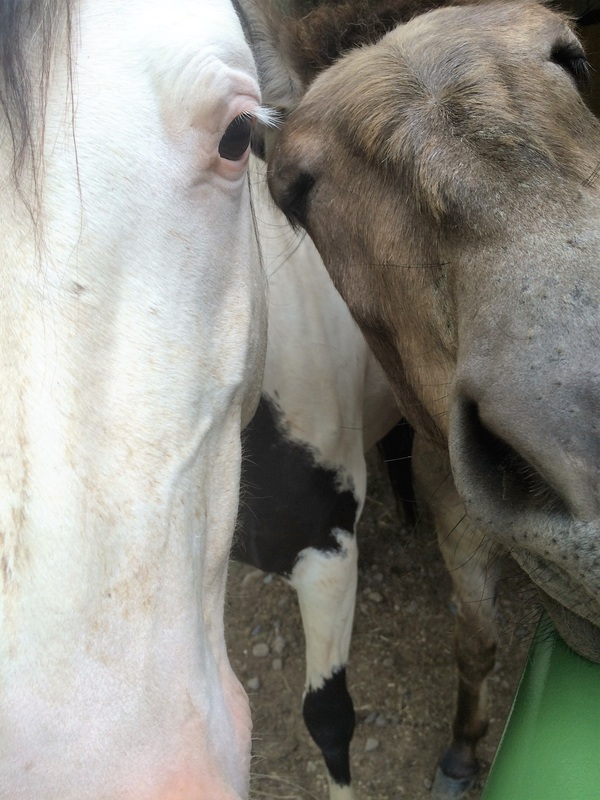 ​When I walk around and look at the horses and burros over the course of the two days, I hear a lot of things amongst the people viewing the animals. Unfortunately, many things I hear are not accurate. Others just make me cringe. The one comment I absolutely abhor is any reference to “just wanting to get a cheap horse”. While it is true that the adoption fee is inexpensive, people need to realize what they are committing to when adopting a wild horse or burro. Another statement I overheard was a young man commenting about the status of the “Three Strike” horses that were available. “That one will go to slaughter if it doesn’t get adopted here.” The truth of the matter is that when a three strike horses leaves a short term holding facility, it goes to a long term off-range facility approved by the BLM. These off-range long term facilities are owned by private citizens. I had the privilege of visiting one this Spring in Wyoming. It was 50,000 acres of a fenced ranch in the mountains. The herd of horses ran free within the 50,000 acres, had plenty of water available and had round bales of hay delivered to them. It was such a peaceful, beautiful place that I wanted to live there.